The Chicago medical malpractice lawyers of Phillips Law Offices have been assisting clients for over 65 years in dealing with medical, legal, and other professional service providers whose mistakes and negligence have caused physical injuries, financial losses or other damages. At Phillips Law Offices, our law firm is committed to helping clients who have been the victim of an inexperienced, careless or negligent professional. When you turn to our negligence attorneys, you can move forward with confidence knowing that our team of professionals will work hard to help you overcome the challenges you’ve encountered by presenting a compelling case that will maximize your chances of seeing fair compensation for your losses. Virtually everyone hires a professional at some point, whether it’s a physician, a financial professional such as an accountant, an architectural engineer, or even a lawyer. Unfortunately, professionals do not always meet the minimum standards of care or service in their profession. In legal terms, this may mean that they have committed professional negligence or malpractice. In cases where this negligence affects you in the workplace, our workers’ compensation lawyers may be able to assist as you seek compensation for the treatment of your injuries and lost wages. In other areas, such as public premises liability or automotive products liability, our personal negligence lawyers may take a different approach. By far, the most common type of professional negligence involves the medical and health care industry. Most are familiar with medical malpractice lawsuits, but there are many other forms of malpractice and negligence that can involve the health care field. Unfortunately, the impact of medical negligence very often results in illness or physical injuries, which can have an absolutely catastrophic physical and financial impact on the victim. This is where an experienced wrongful death lawyer can help, working to help you recover compensation for your losses. What Types of Professionals Commit Negligence or Malpractice? Our team of malpractice and professional negligence lawyers will work hard to achieve the best possible outcome for your case. Common Legal Questions: Why is Negligence Difficult to Prove? Professional negligence and malpractice can be challenging to prove due to the subjective nature of many cases. For example, in a medical malpractice case, your lawyer may be tasked with proving what a doctor knew or did not know at a certain point in time. That is a task that is inherently challenging. What’s more, in many professional fields, there may be several viable solutions to the same problem. The absence of a concrete “right” and “wrong” course of action can complicate matters. Additionally, there may not necessarily be concrete evidence of a professional’s actions or inactions, which means that the courts must rely on witness testimony. These and other factors can make professional negligence cases challenging. How Does Workers’ Compensation Used in a Case of Professional Negligence? If you suffered as the result of business negligence or another act of malpractice while on the job and sustained an injury as a result of a professional’s alleged actions or inactions, then a workers’ compensation claim may be an effective avenue for helping you recover your losses, both in terms of your health and your lost wages. Many are uncertain as to where to get workers’ comp benefits. Typically, you will go through your employer, who can provide you information on their workers’ compensation insurance provider. Our Chicago business lawyers have the experience required to walk you through the process of seeking out benefits, representing you and your interests every step of the way. Losses and damages in business negligence cases are usually monetary, and a victim’s losses can be quite substantial. At Phillips Law Offices, our elite team of Chicago negligence lawyers focus on analyzing each case, then working to offer up evidence that proves that a professional has acting in a negligent or inappropriate manner. Our goal is to help you recover the maximum amount of compensation for your losses. While we cannot guarantee results for any case, we can guarantee that your case will be prepared and presented by a professional team of Chicago lawyers who will leverage the latest technology and nationally renowned experts in their respective fields as we strive to illustrate the manner in which you were harmed. With this strategy, we have helped many clients recover the maximum amount of compensation for their damages. Our thoroughness in terms of our research and preparation enables us to present a powerful and persuasive case. We credit our experience and our attention to detail for our exceptional reputation and the many instances of praise and recognition that we have received from our clients, our peers and in the press. We know how to value your losses. We believe negligent parties must be held accountable. We work hard to protect you from insurance companies and others who may try to “bully” our clients. You have the right to expect the services you hire and the products you purchase to help you, not harm you. 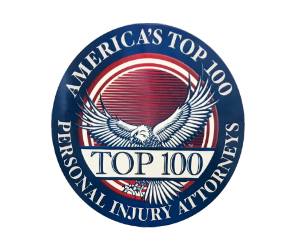 At Phillips Law Offices, our experienced personal injury and professional negligence lawyers offer comprehensive legal representation to clients who have been injured or harmed because of another individual’s professional negligence. Trust your case to one of the most well-regarded law firms in the midwest. Call (312) 346-4262, or contact us online today for a free consultation with one of our wrongful death attorneys about your case.